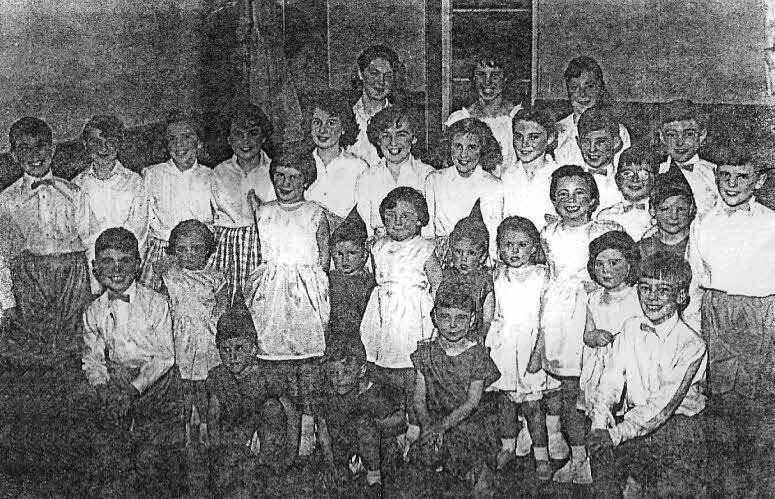 A rather grainy picture from circa 1960 of the young players in a panto at the Zion Church in High Street, Gawthorpe. If you run the mouse cursor over the faces, the names of those people so far identified are displayed. Hat tip to Rowena Clayton for sending the picture. Please let me know if you can identify any of the other children not yet named.